If you want to stay warm in style this winter, we have the perfect coat to add to your collection. 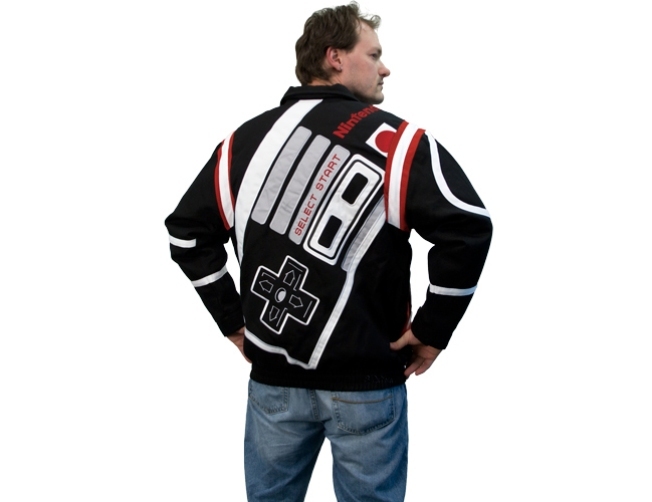 This limited edition premium Nintendo varsity jacket features an over-sized Nintendo controller on the back and a smaller one on the front left chest. The one-of-a-kind coat has a thermal insulated lining and buttons up in the front. It's a steal at only $200. We can't think of a better way to pick up chicks during a night out in Adams Morgan! You can order one of these bad boys by clicking here.